Fall has officially arrived, the days are shorter, the air is cooler and the leaves on the trees will soon be on the ground. Fall is also the beginning of the yin cycle according to Chinese medicine. It is the time of year where we harvest our last vegetables and fruits for winter storage, get out our warm clothes, carry in wood and prepare to settle in for the long nights and colder days. Autumn in Chinese medicine relates to the Metal element which governs the mind, communication, order and organization, setting limits and protecting boundaries as well communication. It is a good time to settle affairs and finish projects and to let go of what is unnecessary. It is a time for storing what we need for the coming winter months, a time for reflection of the progress made through the seasons and for giving thanks for the abundant harvest. Emotionally, this season is associated with grief and sadness. It is important to let go of negative emotions, which can also impact your health more strongly during the fall. Fall also corresponds to the lungs, large intestine and the skin according to Chinese medicine. The lungs and large intestine are in charge of digestion, elimination and respiration. Common imbalances are respiratory problems, such as frequent colds, asthma, tightness in the chest, sinus infections, excessive crying as well as constipation and skin problems.The following tips can help keep you more balanced this fall and avoid catching colds. The body is particularly susceptible to wind and cold during the fall. By following these eight tips it can help you maintain balance this fall and avoid getting colds and flu. 1. Eat with the season: We naturally want warmer, heartier foods this time of year. Eat less uncooked, cold foods such as salads and switch to soups, stews and steamed vegetables. Incorporate foods high in vitamin C and Zinc such as winter squashes, broccoli, kale, collard greens, lamb, mushrooms and Brussels sprouts into your diet. 2. Protect the Back of your Neck: Wear a scarf or turtleneck to protect the back of your neck from the wind, cold and rain. According to Chinese medicine the back of our necks is where we are most susceptible for an invasion of “evil qi” to enter and cause illness. 3. Sleep with the Windows Closed: Protect your body from cold and drafts during the night. Close windows, turn off fans and keep your chest and back covered with a pajama top or t-shirt. Our defensive qi of our immune system flows more deeply at night, which leaves us more vulnerable to invasion. 4. Refrain from Foods and Substances that Weaken Your Immune System: Foods such as alcohol, refined sugar, dairy products, processed, greasy or raw foods all inhibit the immune system. It is especially important to avoid these foods if you feel that you are coming down with something. 5. Wash your Hands Frequently and Avoid Touching your Face:Washing your hands frequently is probably one of the easiest ways to avoid getting sick. We touch and pick up all sorts of viruses throughout the day and then we touch our faces (nose and mouth), which provides a direct route to our lungs. 6. Use a Saline and Sodium Bicarbonate Solution to Irrigate your Nasal Passages: Irrigating your nasal passages with a neti pot a few times a week can help keep airborne allergens, bacteria, dirt and other pollutants from collecting in your nasal passages. 7. Boost your Immune System with Herbs and Spices: These may include ginseng, astragalus, cordyseps. Herbs are very effective and powerful in preventing disease. However, certain herbs may be harmful for certain individuals. It would be advisable to consult with a qualified practitioner before taking any of these herbs on a regular basis even though they can easily be purchased in health food stores. Spices can be easily added to your diet and the following are great immune boosters: cinnamon, turmeric, rosemary, thyme, oregano, garlic and onions. 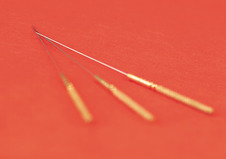 Getting regular acupuncture treatments can also help keep you balanced and healthy. Acupuncture and Chinese herbal medicine can also be extremely effective in shortening the duration of a cold or stopping it from starting. If you feel you need a little extra support or would like to strengthen your immune system, call today for an appointment.